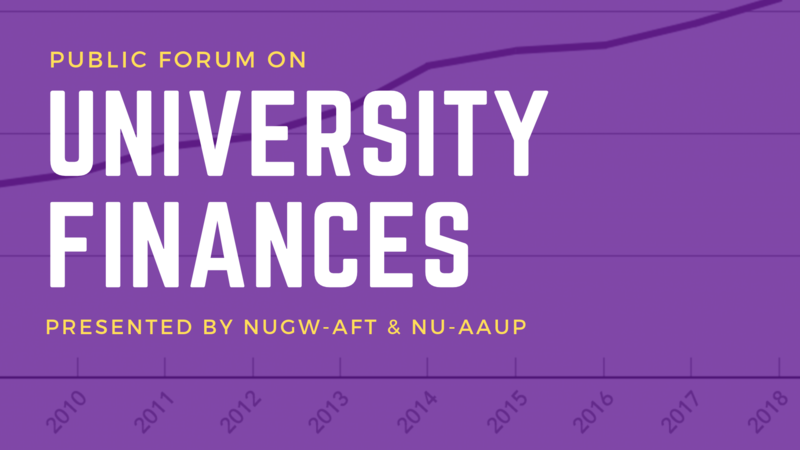 Join NUGW and the Northwestern chapter of the American Associate of University Professors (AAUP) for a public forum on Northwestern’s finances. We will discuss Northwestern’s financial situation, recent university austerity measures, and the efforts of graduate workers and non-tenure track faculty to gain a voice in financial decisions that impact our work and lives. There will be a Facebook livestream of this event if you aren’t able to attend in person but would like to learn more.